Comes Highly Recommended Charming and comfortable semi-detached town house situated 5 minutes from Hesdin center. It includes: fitted kitchen, living/dining room , 4 bedrooms (2 on the ground floor), bathroom, wc, terrace, small courtyard, garage for bike, electric heating. Early viewing recommended! This house / villa (old house) , with a land size of 1975 m² (about 0,49 acres) has 7 rooms including 3 bedrooms, 1 bathroom and 1 toilet. It has a living room. This house / villa (old house) , with a land size of 770 m² (about 0,19 acres) contains 7 rooms including 2 bedrooms and 1 toilet. It is equipped with a terrace and with a cellar. Others : fireplace. Bungalow with outbuildings and garages. separate WC. Bathroom comprising bath, washbasin and bidet. Workshop, boiler room, room for storage. 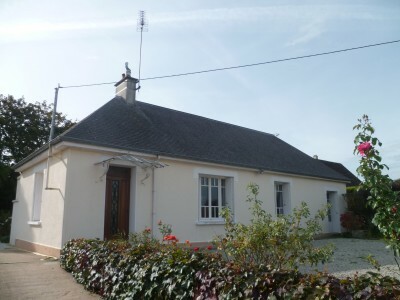 3 bedroomed house situated in the town of La Haye du Puits. Stone house with 3 bedrooms. On G F : Kitchen of 27m² with fireplace, Bedroom of 12m². Shower room of 12m² comprising shower, washbasin and WC. On 1st Floor : 2 Bedrooms of 9m² and an attic of 10m². Maison rénovée, située au coeur du bourg. RDC :Salle/salon de 27m², Cuisine aménagée et équipée de 12m². Salle d\'eau comprenant douche et lavabo. WC indépendant, buanderie de 10m². ETAGE :Deux chambres de 12m² et 11m², cabinet de toilette comprenant WC et lavabo. 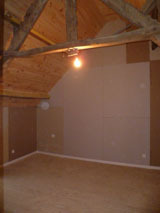 COMBLES : Une chambre de 15m². Terrasse et jardin sur l\'arrière, atelier de 15m², (le tout 150 m²). House with 4 rooms, with outbuildings and large field of 3 acres. Cupboards under the staircase containing the hot water tank. On 1st floor : Landing. 3 bedrooms of 12 m², 14 m² and 16 m². This house / villa (town house) , with a land size of 465 m² (about 0,11 acres) contains 4 rooms including 2 bedrooms, 1 bathroom and 1 toilet. It is equipped with a living room, with a garage and with a cellar. This house / villa (old house) , with a land size of 700 m² (about 0,17 acres) has 8 rooms including 3 bedrooms and 2 toilets. It has dining room. 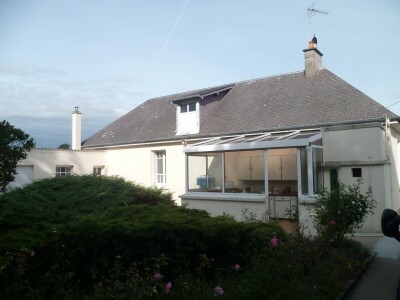 Absolute Bargain Price Lots of charm for this old presbytery, located in a quiet place between Hesdin and St Pol sur Ternoise, set on about 500sqm of land. It includes: half fitted kitchen, living room (30sqm), lounge (25sqm), 2 bathrooms, 2 wc, 3 bedrooms (possibility 5 in the loft). Oil central heating, brick building, good roof, fireplace in each room, vaulted cellar, outbuildings, garage, utility room, boiler room. About 150sqm living space. 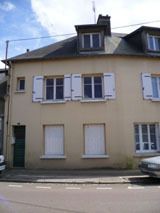 Near the Town Walking distance to the centre of Hesdin, Terraced property in need of modernisation . The property consists of a large garden on the rear with outbuildings, kitchen, large lounge, 1 bedroom downstairs, 2 bedrooms upstairs, loft, bathroom, outbuildings.